Description: Meet HARPO! 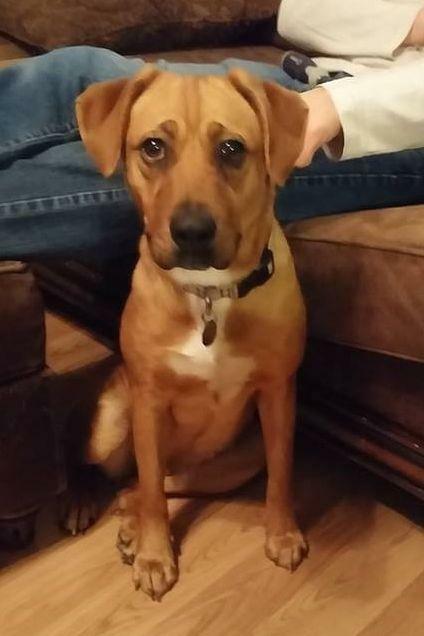 She is a Boxer/Lab/Hound mix who weighs 50 lbs & was rescued from southeast Missouri. Her belly seemed a bit 'full', so we had a sonogram done before going forward with spay surgery, and it turns out she was pregnant! Her pups were born on 1/13/16, six beautiful babies! Harpo is still a pup herself at just 12 months old, but she has been such a great mommy. 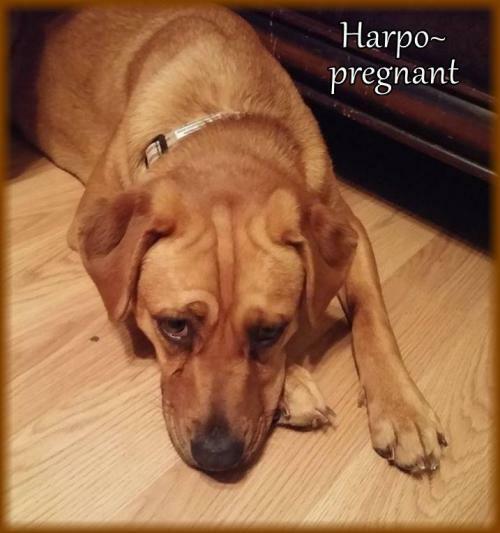 Once Harpo is done with 'mommy duty' and her pups are weaned end of February, she will then be spayed and placed up for adoption. She gets along with dogs of all sizes, cats, adults & children. 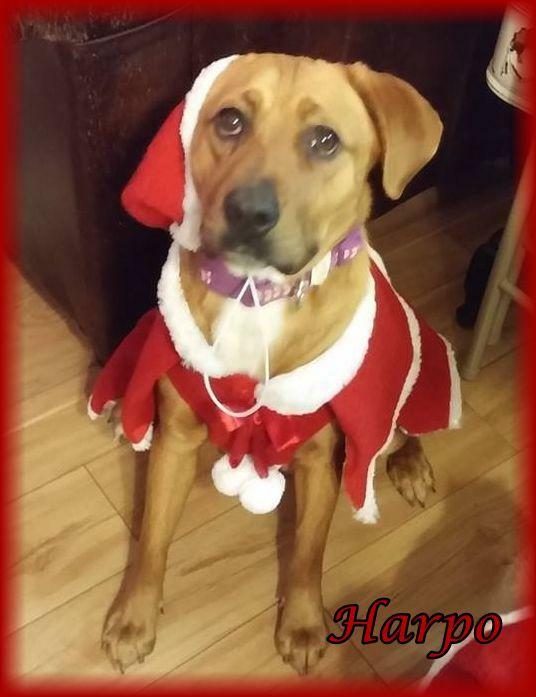 She's such a lady and a very lucky family will soon be able to welcome her as a member of theirs! Harpo will be spayed (once pups are weaned). She is vaccinated, microchipped, given flea/tick preventative & dewormed. Adoption fee is $300. For adoption guidelines and to submit an application, please go to this link: http://dollyslegacyanimalrescue.org/adopt/ We are a foster-home based rescue group and do not have a facility. The first step is to have you complete our online adoption application. All adoption appointments are scheduled after your application has been approved. We are 100% volunteers & will generally reply within 3 days of application submission. PLEASE be sure to answer all questions completely or it will delay processing, be sure to include vet phone#. If you have any questions please email DollysLegacy@aol.com. Please 'LIKE' our facebook page to learn more about our rescue, see more pictures & get updates on all our adoptable pets!